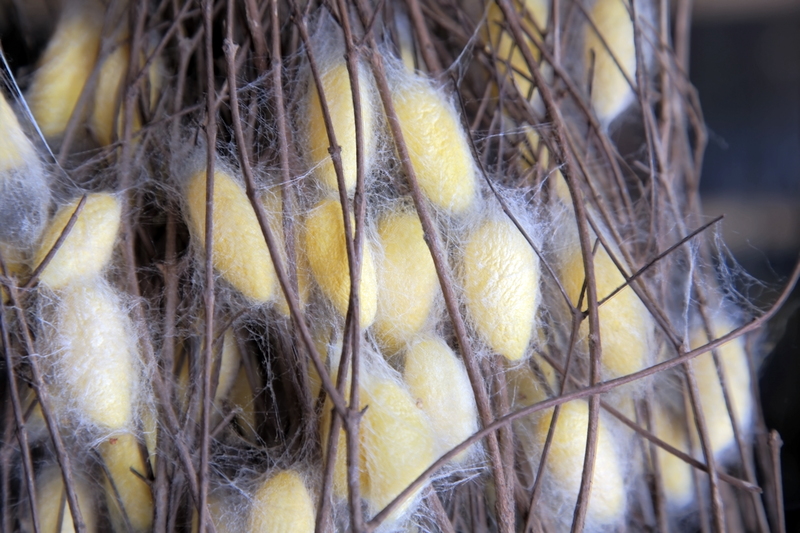 Silk is a very long-lasting natural fabric, so long as it is cared for in the right way. Hand-painted silks can be hand-washed, in cold or lukewarm water, without rubbing. Use a neutral soap (or shower gel) previously dissolved in water so that it does not leave stains on the silk. Do not use a soap for wool or delicate fabrics as those types of soaps make the colours run. You can add a little bit of white wine vinegar to the last rinsing water to help fix the colour and increase it’s intensity. Again, please dissolve it well in the water before immersing the silk. It is better not to allow the silk to get too dirty, so that you can clean it with a light wash.
Do not leave it soaking. The first few times you wash it, the silk may loose a little bit of colour into the water. This is due to the fact that, as a natural fabric, silk has a certain capacity for absorbing the dies, and it looses the rest. After washing, do not squeeze it or twist it and do not use a drier. This would make the threads break and separate. A good drying method is wrapping it first in a towel without squeezing to eliminate the excess water. Then, allow it to air dry horizontally so it doesn’t deform. Dry it in the shade, as the sun would damage the fibres and the colour. Silk is easier to iron when it is still a bit damp. Set the iron to a medium temperature (between 100º C y 160o C) or to the silk setting, do not press too hard and do not iron for too long. Silk should be kept rolled up instead of folded, as the fibres can suffer and even break in the pleats if folded. For the same reason, do not tighten knots too much when you are wearing a silk scarf. If the item is going to be put away for a long time, protect it from light and insects. It can be kept in a dry, fresh place, rolled up in a cardboard tube, wrapped in white tissue paper or in a fabric bag. Avoid using plastic bags, as plastic does not allow it to breathe.